I have been invited to participate in the Lighthouse to Leighton kitesurfing event. I have wanted to do this for a while so I jumped at the chance. Flights and accommodation are now booked. 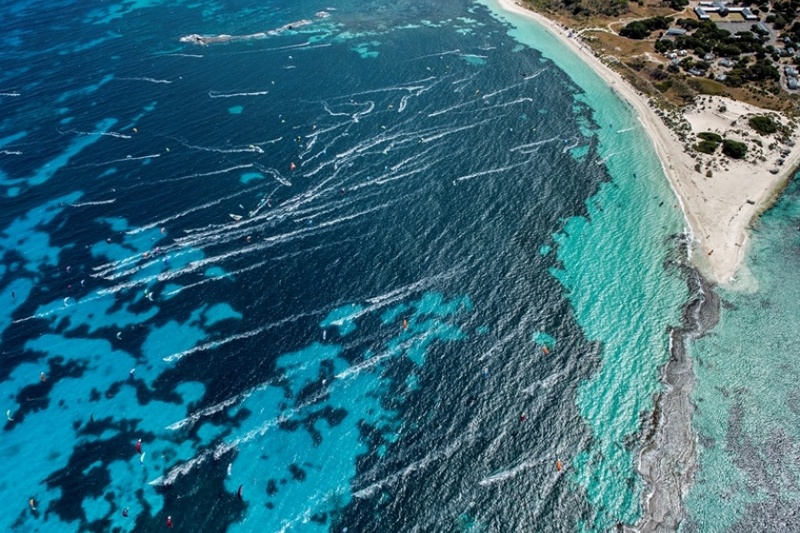 Kiters are taken over to Rottnest Island by ferry with their gear, then they set up and kitesurf 19km back to Leighton Beach. Many do it as a race but I will be there for the experience and aim to have some fund on my Nugget board. I will have Friday to do a trial run - hopefully meeting up with Natalie Clark who is doing the event for a second time. Its the eighth year the race has been held and there are over 140 participants so it will be busy on the water. I am looking forward to it. My race in the 2017 Lighthouse to Leighton kitesurfing event - stoked to do it!